And trust me, the Bears fan base is just about done with Jay Cutler. Personally, I find that hard to believe, because every time I watch him play (and I've seen him a couple times from the upper deck of Soldier Field,) I had been marveling over his arm strength, particularly when compared to the nonstop parade of dink-and-dunk Browns QBs, culminating most recently in Colt McCoy. I'd say watching Cutler made me most optimistic about the drafting of Brandon Weeden last year, for arm strength alone. Of course, it hasn't worked out that way for Weeden. 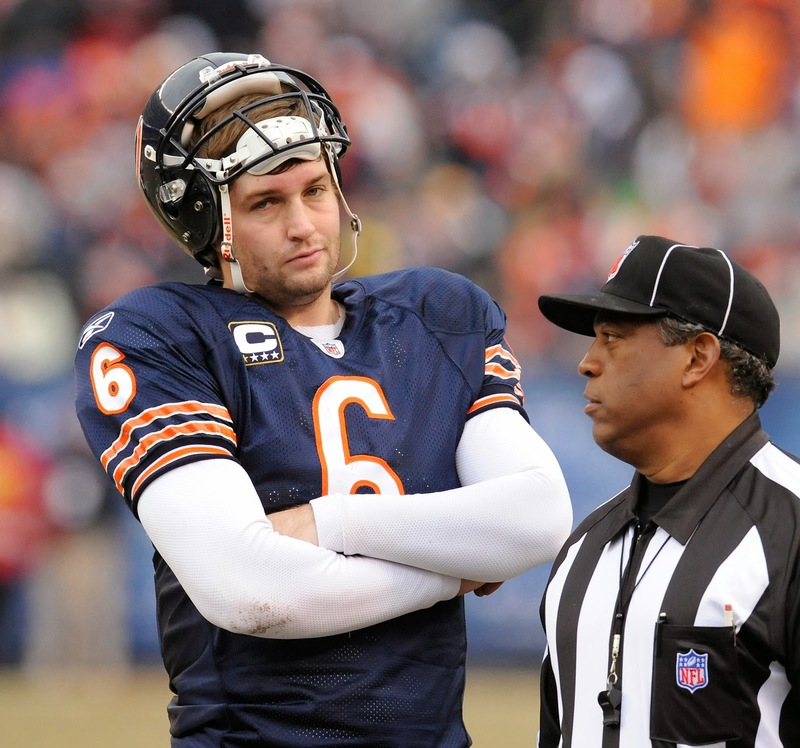 But in many ways, it hasn't worked out that way for Cutler either. Anyway--even more than his face, his turnovers are what have Bears fans ready to turn the page, and specifically turn it to backup Josh McCown. I don't think the Bears' front office is on that train yet...but rushing Cutler back, against a suffering opponent in the form of our Browns....seems like the Bears wouldn't mind if the Browns front office considers a little Cutler infusion to help their QB situation in 2014. Although, to that end, they should probably run McCown out there for a few series, as Mike Lombardi might want to get first-hand eyes on him as well. Well shoot, I am not even close to convinced any of the QBs in the draft is the answer for Cleveland--at least not in a top-five spot. So might as well get the binoculars and the tape machine out, Mike.